I always have serious wallet damage when comes to airport shopping. The latest record was done at Haneda International Airport before leaving Tokyo buying chocolates and biscuits for my friends and family. God, you don't want to know how much I spent on those. Speaking of airport shopping, what about winning a RM5, 000 or even RM25, 000 crazy shopping spree from klia2 @ What's In Your Bag Giveaway campaign ?!!! In conjunction with the launch of klia2, they are doing a Giveaway named What's In Your Bag that shoppers can shop and select RM5, 000 worth of product from whatsinyourbag.my and this RM5, 000 will be given to the lucky 15 daily winners starting from 9th to 23rd June 2014! Do you know klia2 is the newest airport after KLIA. There are various retail outlets offering in airport that cover food and beverages, lifestyles, fashion, electronics, duty-free and non-duty free products, etc., . Therefore, you should take this great opportunity to take part in this now. Feel free to visit www.facebook.com/IndulgeMalaysiaAirports for more giveaway. Also, do follow their official Instagram at @indulgemyairport and twitter @indulge_my to keep yourself updated on klia2. 2. Simply 'add to cart' the items you want from the website given the RM5,000. 3. Proceed to check out once you've done with your e-shopping, and you will automatically entered into a lucky draw with everything that you've purchased. Contest starts from 9th April to 23rd June 2014. One winner a day for 15 days to win prizes worth of RM5,000 and another grand winner will be announced on 26th June (the launch date). 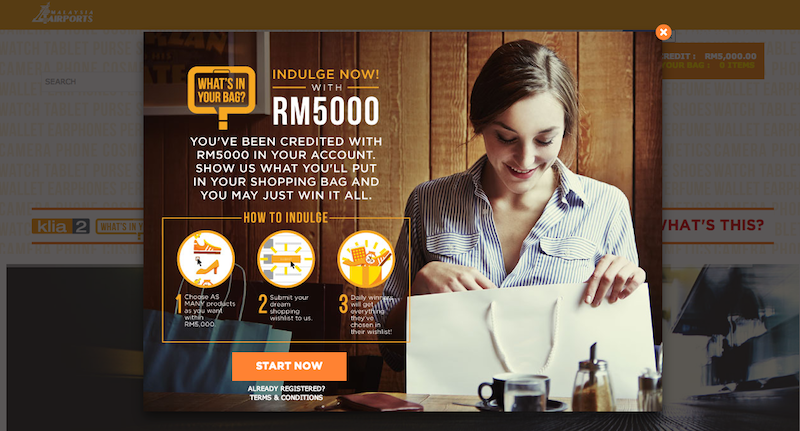 He or she will win RM25,000 shopping spree at klia2. Do take note that anyone above 18 years of age, from anywhere will be eligible to participate. However, prize redemption will only be available locally, from klia2 itself. These are my pick! 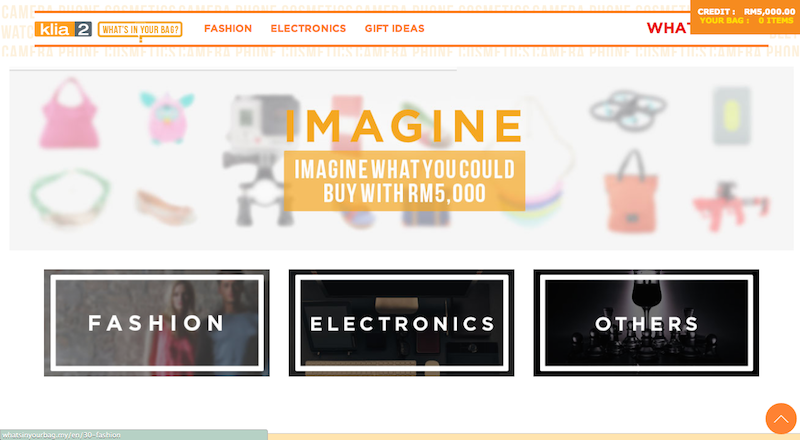 I got a sense that I can win RM5, 000 worth of products I've put into the chart here! I've already joined the contest, and you shall too! Who knows you will be the lucky one.